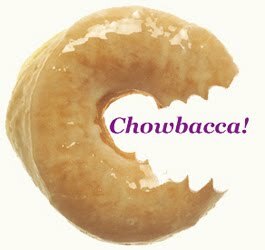 Someday, perhaps after I shuffle this mortal coil, there will be an omnibus posting of "the Chowbacca drafts," writing more varied and verbose than the comments section of a circa 2003 sci-fi fandom community on LiveJournal populated by drama and English majors. I mention this as I have just relegated another 1500-word manifesto to the save-drafts dustbin, a sort of virtual hoarding of words. In their stead I have in mind something more austere, which is apropos to the subject matter at hand: sushi in a strip mall. If you are one of the 17 gourmands in America on the Internet who have yet to watch Jiro Dreams of Sushi then stop reading right now, go to your preferred streaming service and watch. It's worth shelling out a few shekels to own. ...Did you watch it? Hungry? Great, now I'm going to tease you with my Instagram from the evening an old boss of mine and his wife treated me to amazing omakase in Torrence. If you want to hear about drinking, bad tourist food, not drinking and Ingress, you'll have to wait on the draft. Inside, the few nods to decor include an atrium partitioned by a half wall, some basic stained and lacquered chairs and tables and a few framed prints of typical medieval Japanese landscapes and portraiture (Japanese portraits frequently depict its subjects dwarfed along the scenery – hills and mountains, fields and rice paddies). There is enough seating for about fifteen in the dining room plus six at the sushi bar. A cloth curtain partitions the area in which the sushi chef works from the rest of the kitchen. Unfortunately for the three of us, only two discontinuous seats remain "court side" so we opt for a table, and after a few minutes negotiating exactly what we mean by omakase (chef's choice, but preference to the fish that had been flown in from the Tsukiji Market in Tokyo that very day), we were presented with tea and hot towels. The salient point here is that the best sushi in the world, according to some, is Sukiyabashi Jira restaurant is in an office building in Ginza. Perhaps between a pet store and a nail salon, but I haven't been to Ginza in over 25 years. Diver scallop (hotategai), amber jack (kanpachi), Tuna belly (chu-toro) and snapper. The wasabi is the genuine artifact, a sure sign of quality and attention to detail. I believe the toro is placed upon a banana leaf. A selection of saba (Mackerel). Nigiri sushi should be picked up by hand and either quickly dipped into soy sauce (perhaps with a small amount of fresh grated wasabi) or not dipped at all – sushi adorned with a garnish on top is to be eaten as-is. This temaki hand roll is wrapped in nori sheets that have been skillfully roasted over an open flame just prior to serving to unlock it's aroma. Nori is high in natural glutamate compounds, the main component of recently discovered and now ubiquitously bandied about flavor sense termed umami. Gratuitous shot of my old boss on his first day Ingressing. Of course, we claimed that toad for the resistance. He recently made level 8 (in an impressive 20 days, no less, although the record is rumored that it can be done in 16 hours – if one has a lot of portal keys, a SBULA and lots of help). If you find yourself in SoCal, be sure and give "Gaussian88" a shout on COMM.